Jason is the son of Alcimede and Aeson. He accepted Pelias’s challenge to bring back the Golden Fleece from Colchis. Having fallen in love with Jason, Medea offered him her help in his quest. Jason succeeded in obtaining the fleece. Her jealousy of his engagement to Glauce would eventually lead to his downfall. 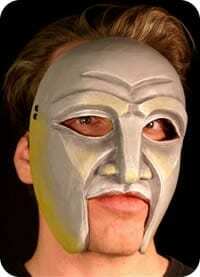 The Greek Theater Mask of Jason is one of steady youth and power. The subtlety of this design allows for a wide range of expressive play. He can be condescending, opportunistic, and unscrupulous as well as the counter mask. 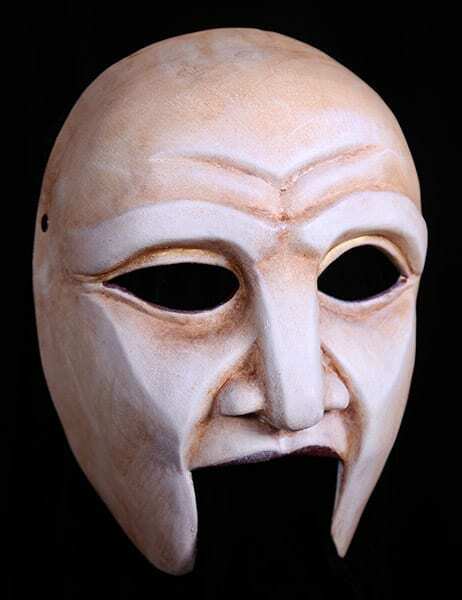 This mask can be used in other Greek plays for which a young noble is required.